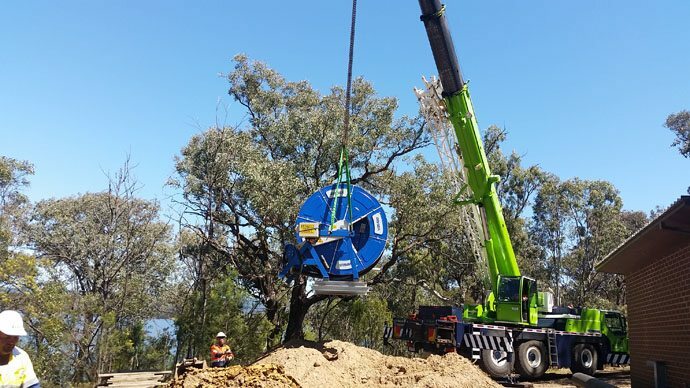 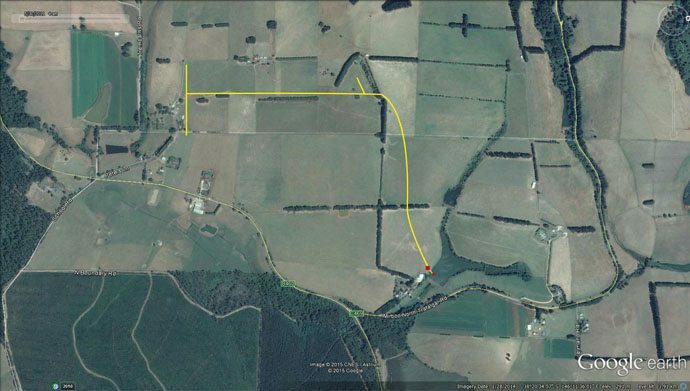 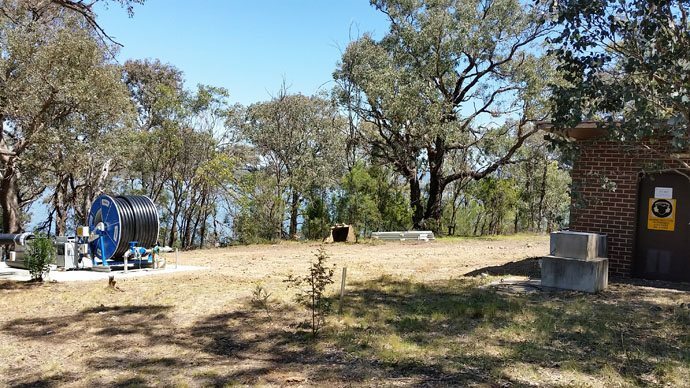 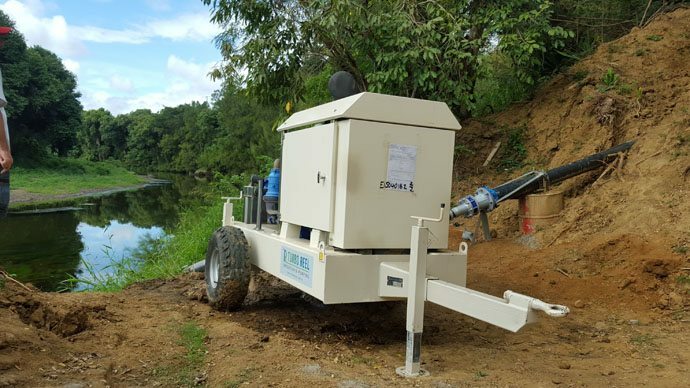 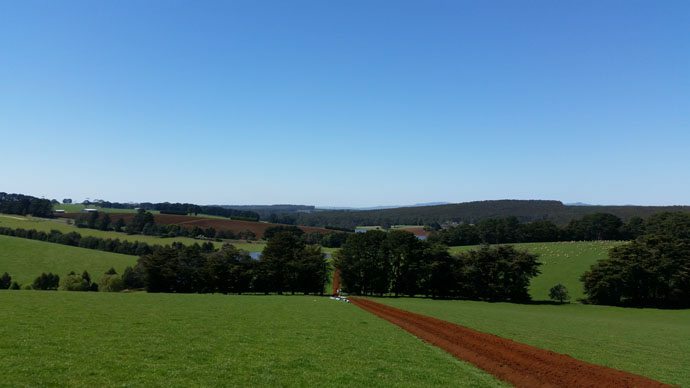 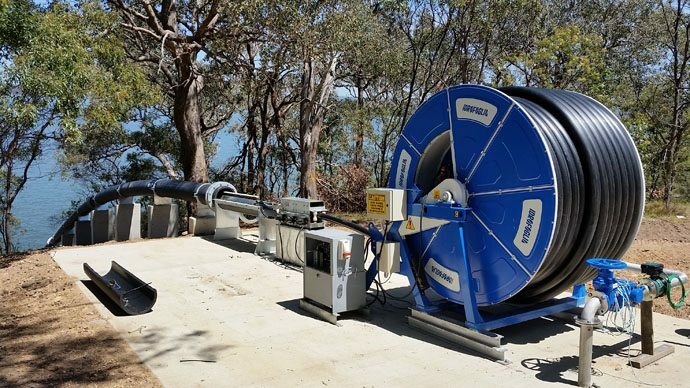 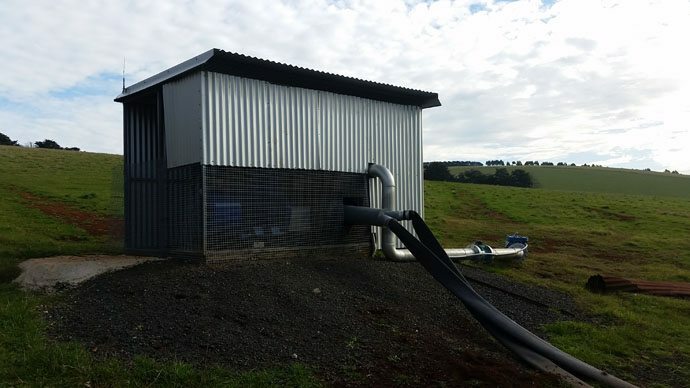 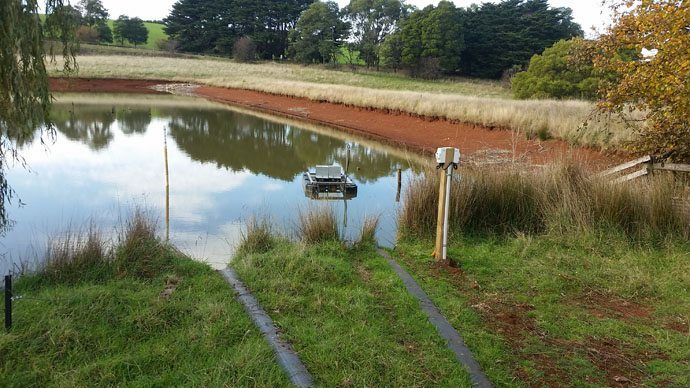 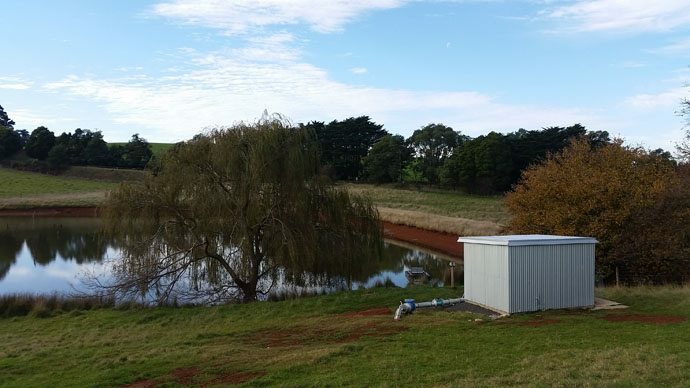 Gippsland water needed an upgrade to its existing pump system for the supply of water to various townships in the area. 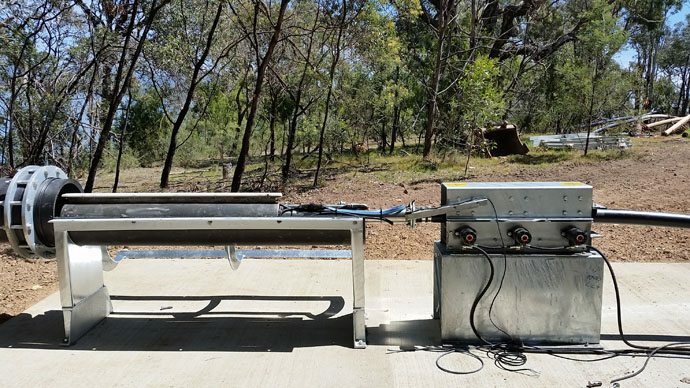 The original system was very old to the point it was almost unusable. 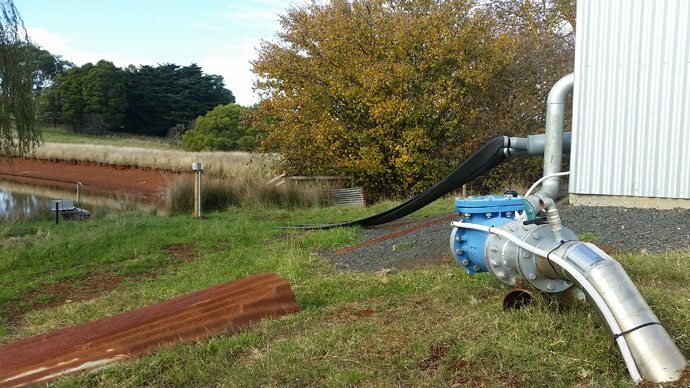 It comprised a pump that could be lowered into the raw water via a rail system. 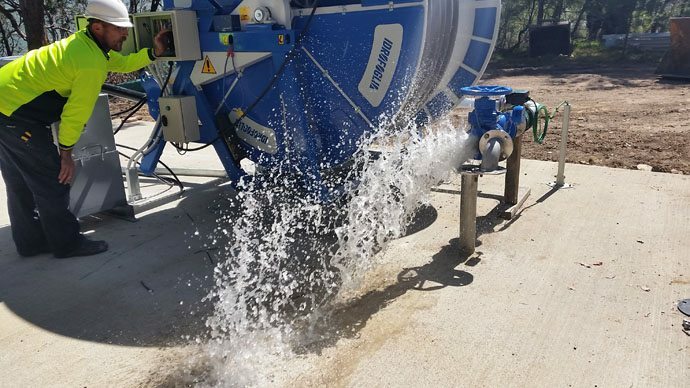 The water was then pumped to treatment plant for processing. 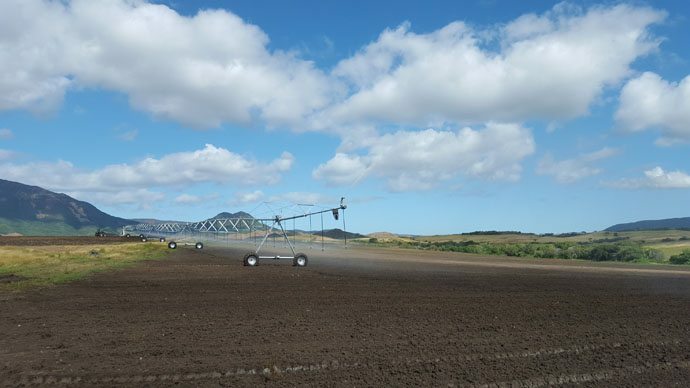 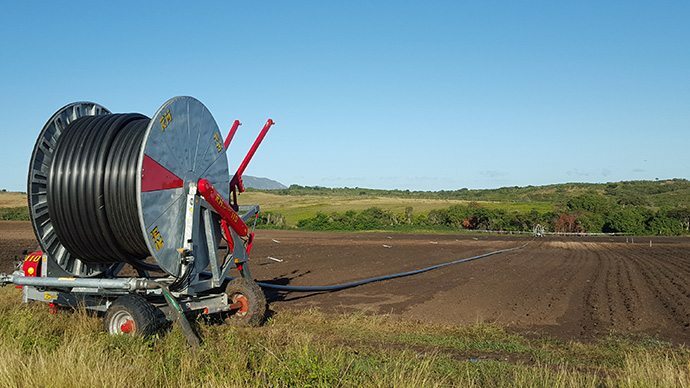 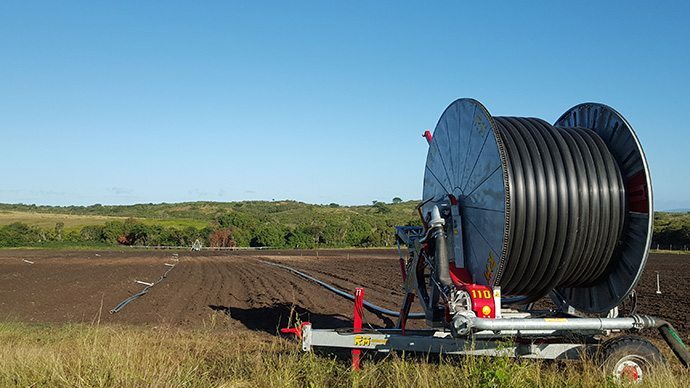 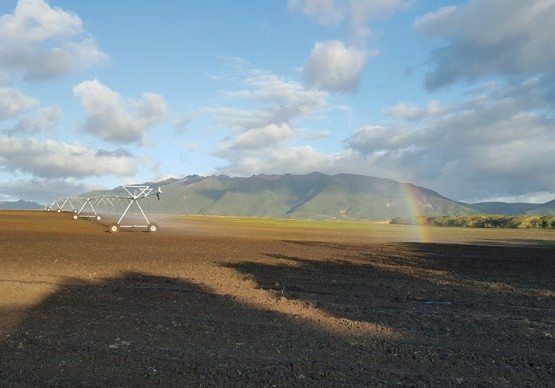 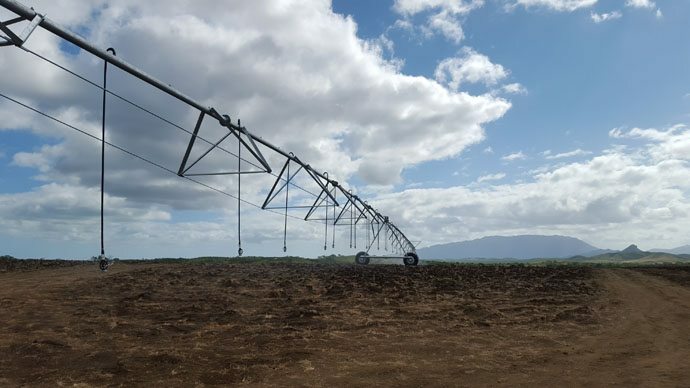 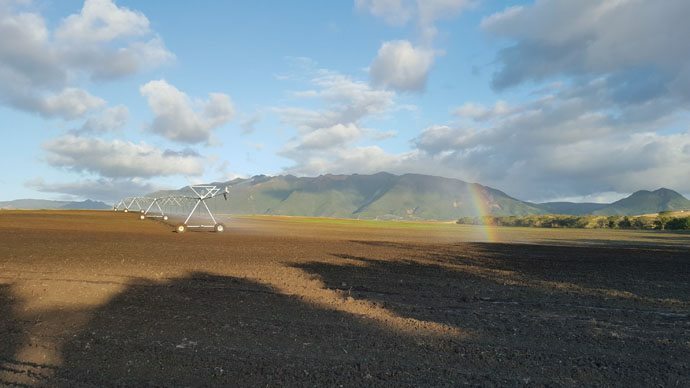 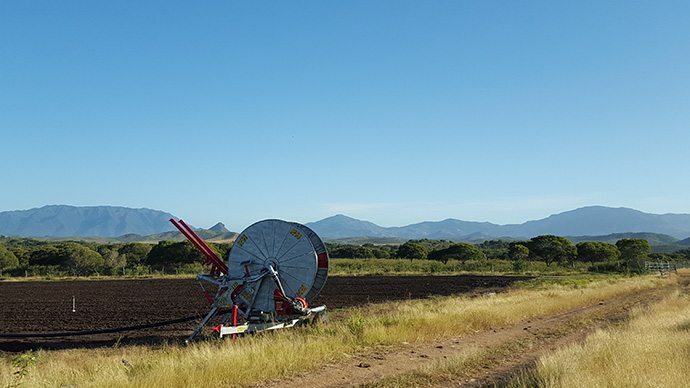 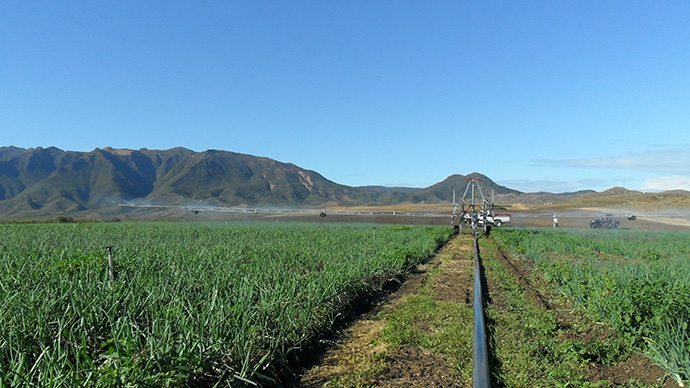 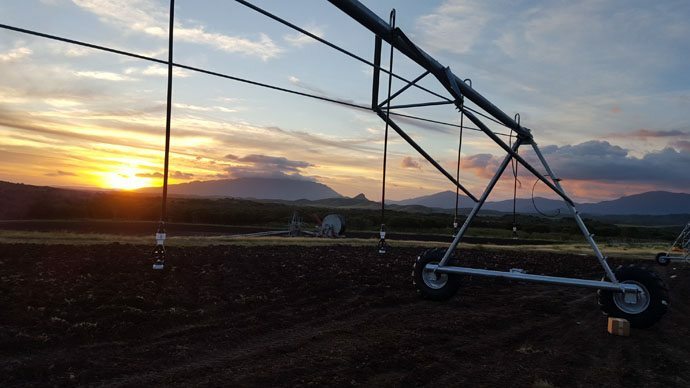 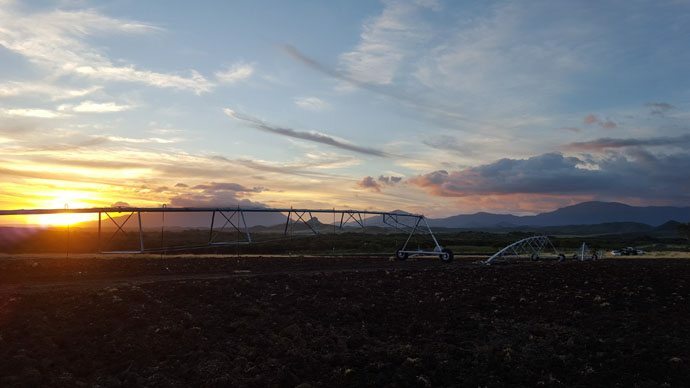 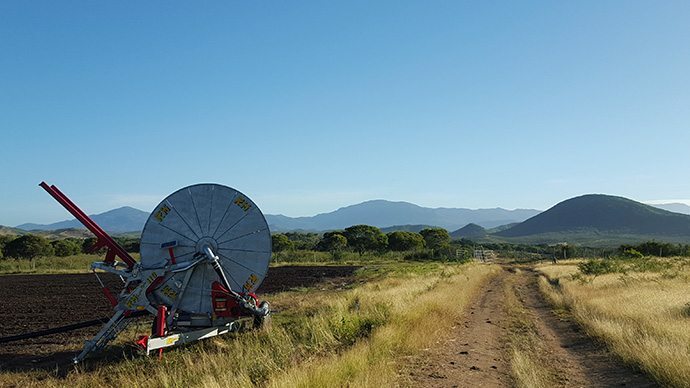 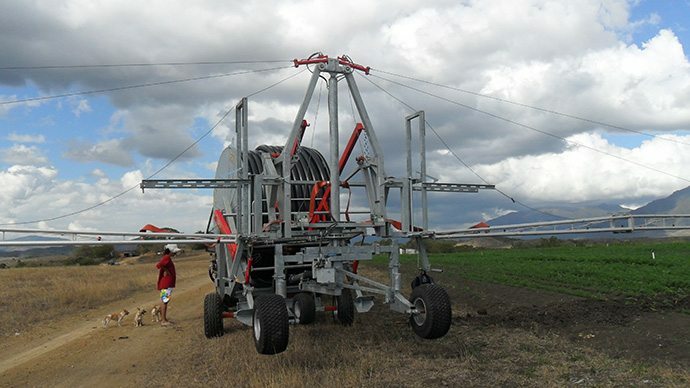 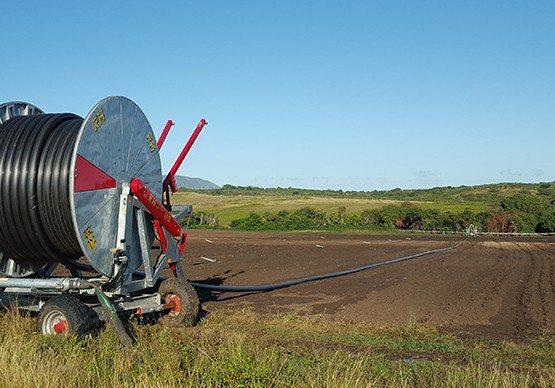 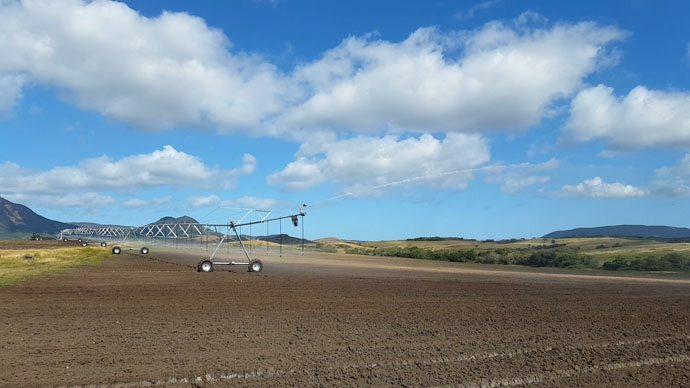 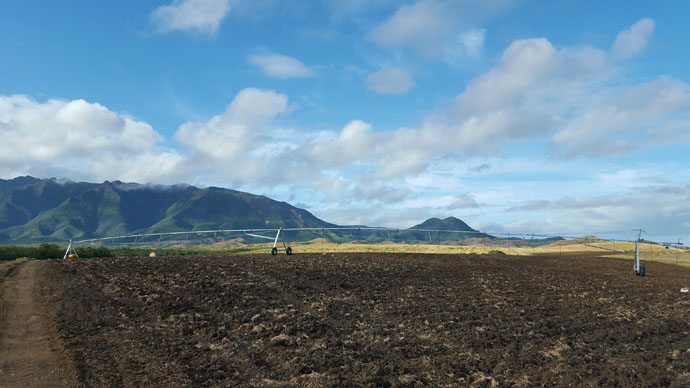 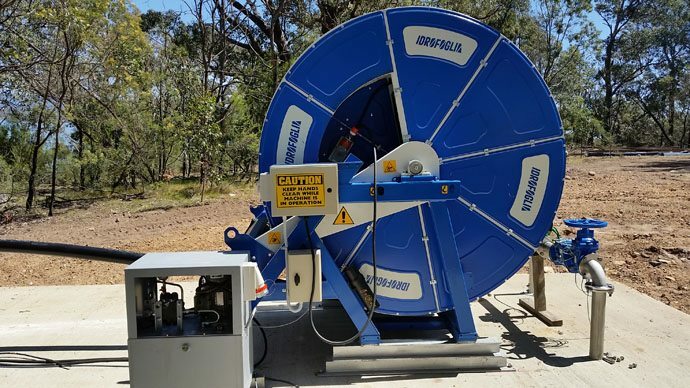 Turbo Reel Irrigation was engaged to design and implement a turnkey system to continue pumping operations. 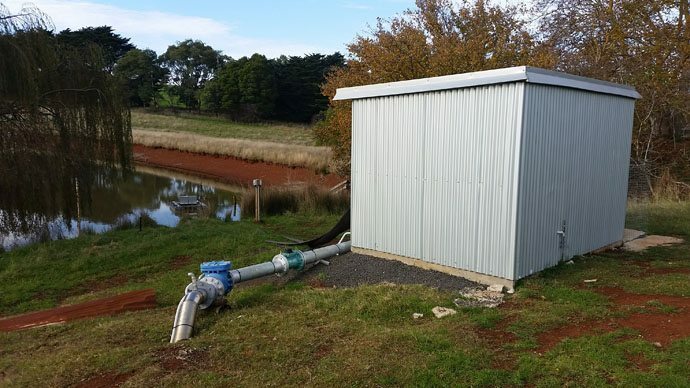 Because the system provided town water to multiple communities, it needed to be designed so that installation and commissioning could be done with minimal downtime. 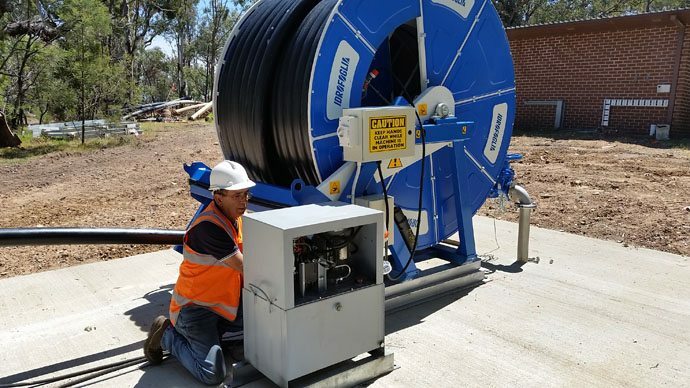 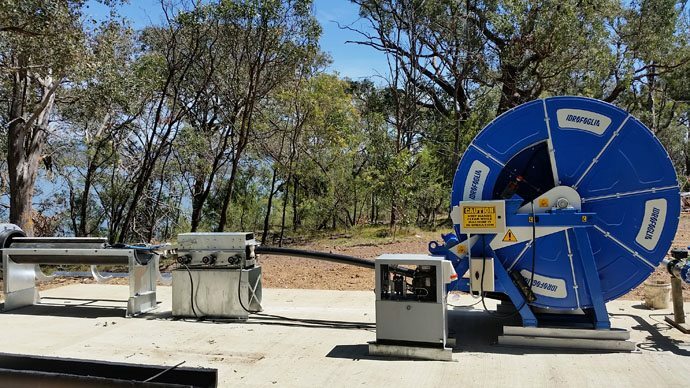 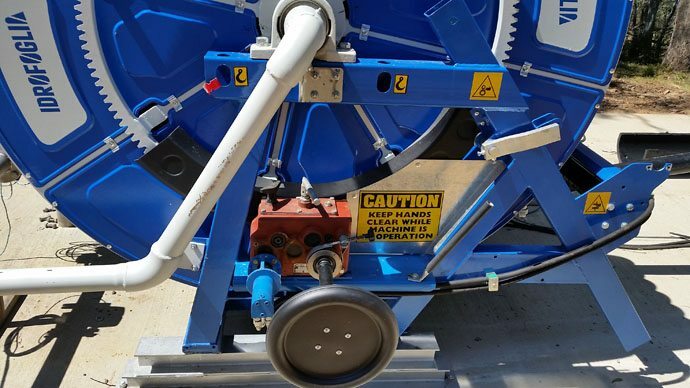 The Poly Reel and Roller system was designed as a mechanical solution for deploying and retracting a submersible pump down a large diameter protective conduit pipeline. 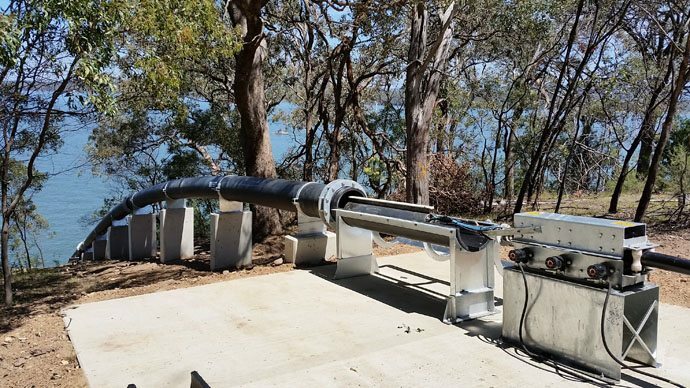 The design allows the operator to retrieve the pump from the body of water while remaining a safe distance from the steep embankment and the body of water itself. 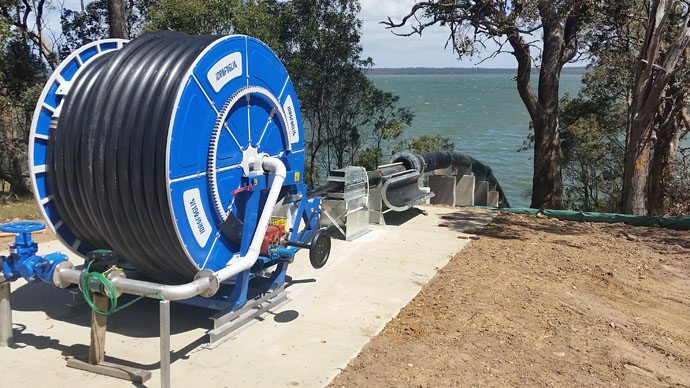 Engineered PE Hose reel operated by hydraulic powered gearbox. 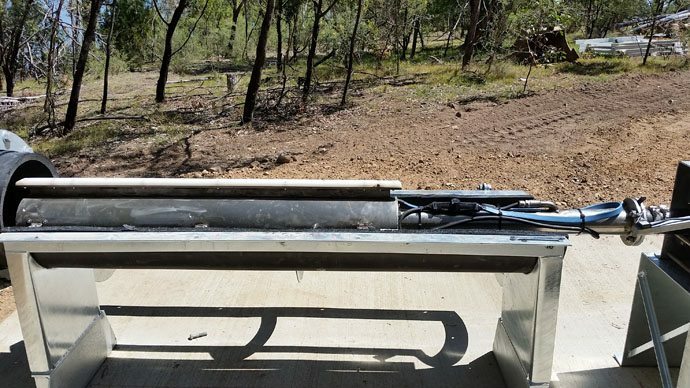 Engineered hydraulic powered roller system. 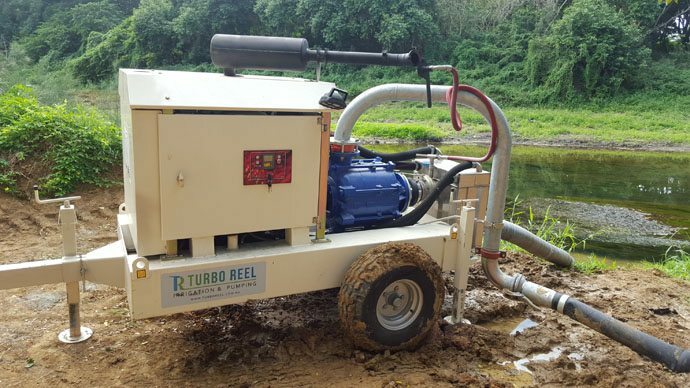 Design and fabricate submersible pump skid. 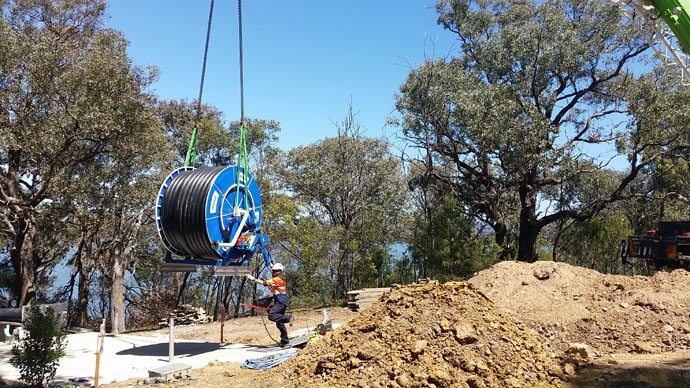 Install electrical cable through pipe on reel. 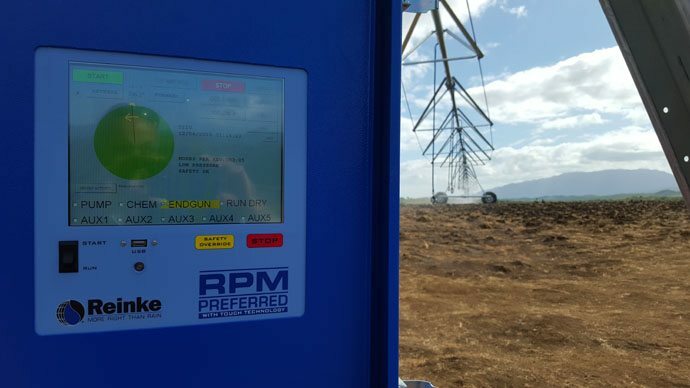 Create installation plan for all parties to work to. 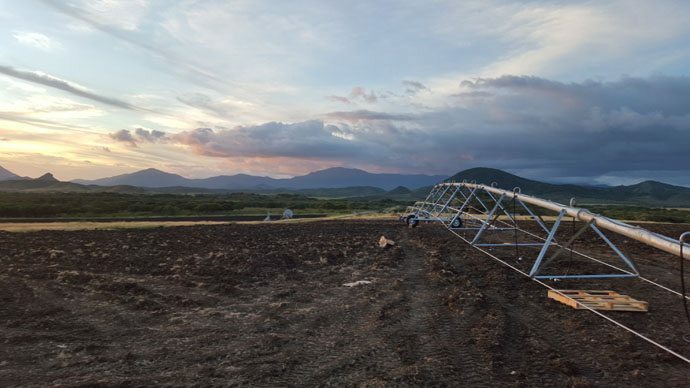 Procurement of equipment, pumps, pipe, valves and fittings to complete the project. 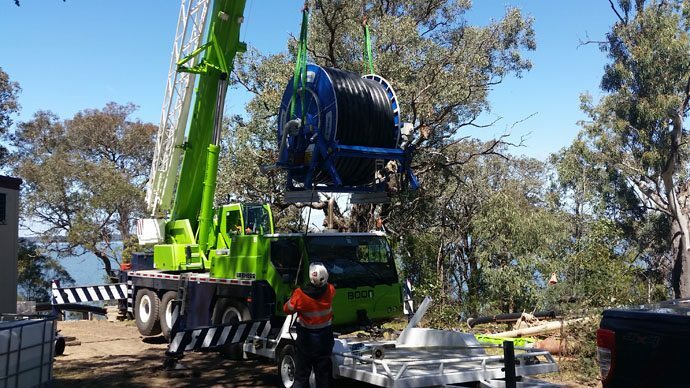 Logistics Management of all equipment, pipe and fittings to site. 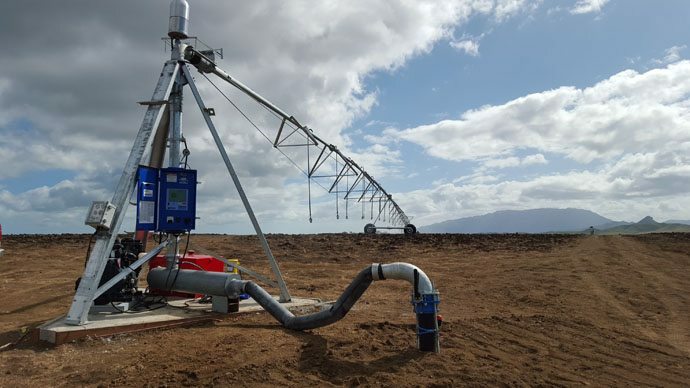 Pump system design and installation. 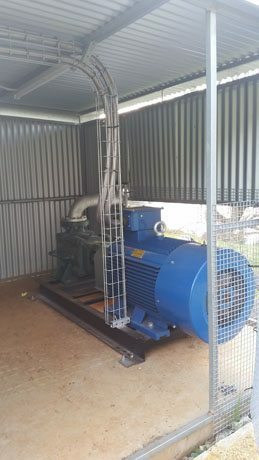 Supply and installation of electrical components for pump control. 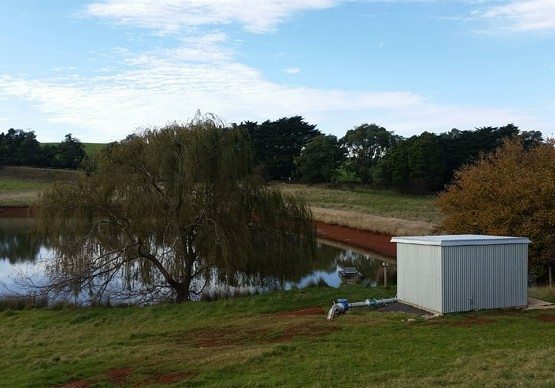 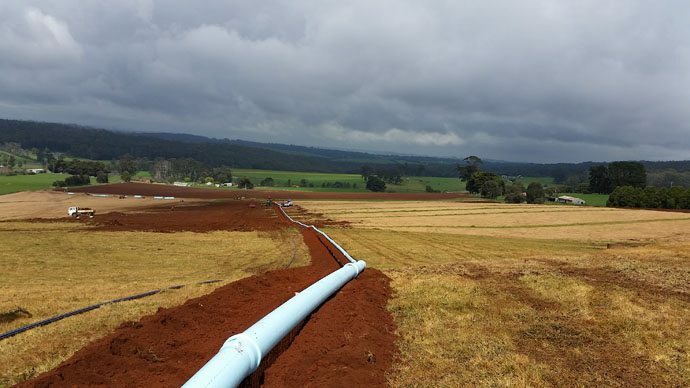 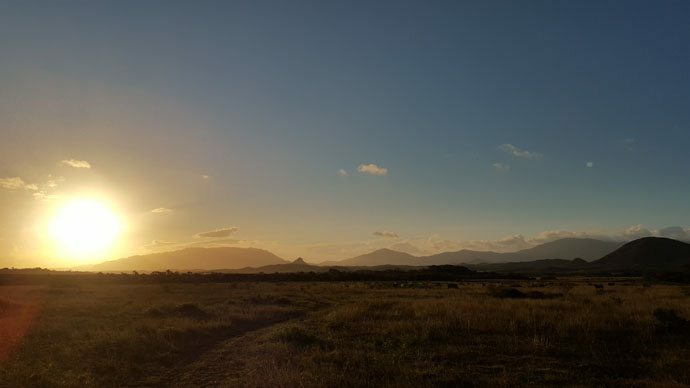 Work with Gippsland water engineers to ensure minimal downtime in system changeover. 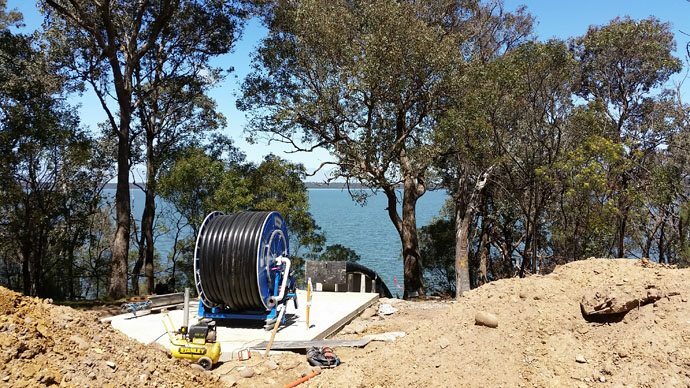 Work with 3rd party contractors to ensure site elevations and pipe conduit was within tolerance.